BOXERS & SAINTS Wins Yet Another Prize! BOXERS & SAINTS knocks out all the opponents to win SLJ’s three-week long 2014 Battle of the Kids’ Books. 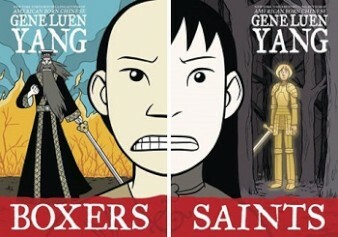 To read the whole article, click here: http://www.slj.com/2014/04/events/yangs-two-volume-boxers-saints-scores-final-victoryslj-2014-bob/.